Detroit Food Academy | Healthy. Connected. Powerful. Detroit Food Academy | Healthy. Connected. Powerful. Invest in Detroit’s Future Today! 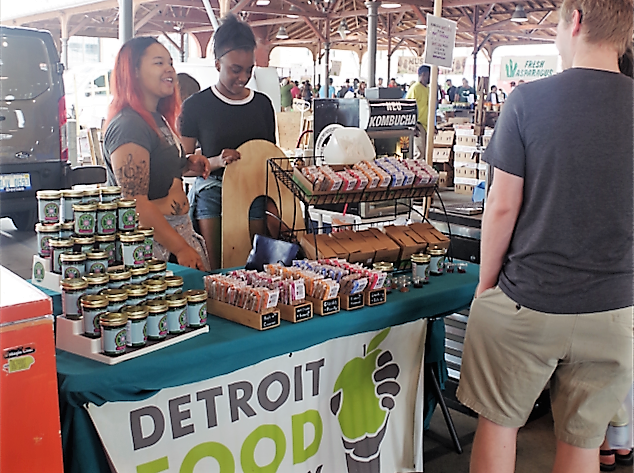 Detroit Food Academy is a 501(c)(3) non-profit that works with local educators, chefs, and business owners to inspire young Detroiters (ages 10-24) through self-directed entrepreneurial experiences rooted in food— experiences which open doors, create connections, and spark confidence. From cooking delicious healthy meals for friends and family to facilitating complex conversations with community to developing artisan food projects from scratch to market, students learn by transforming their ideas into reality. Through this process, they grow as holistic leaders who are healthy, connected, and powerful to affect change in our communities and beyond. Delicious gourmet jams with 100% Michigan produce. Whether it’s Blueberry Lavender, Apple Spice, or Raspberry Lemon Verbena, our jams will take your taste buds on culinary adventures on toast and beyond!